Mr. Blaise joined Coughlin & Gerhart, L.L.P. in 1997 and is a Partner in the firm. He is Chair of the firm’s Litigation Practice Group, and his areas of practice include trial and appellate level work in civil litigation and workers’ compensation, representation of local municipalities and emergency service organizations. 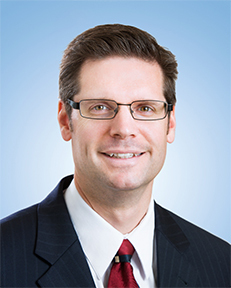 His civil litigation experience includes intellectual property, personal injury, commercial and contract disputes in state and federal courts. His municipal representation includes school districts, towns, villages and fire districts, as well as volunteer fire and ambulance companies. Mr. Blaise is a member of the New York State, Broome County, American, and Tompkins County Bar Associations. He is a member of the Binghamton Sertoma Club and Broome County United Way Board of Directors.